The Chevrolet Camaro has a long rich history of providing performance for the the masses. And like any performance car that has seen many years of duty, there are some good years and some not so good years. 1993 for the Camaro would definitely be ranked not just as a good year but a great performance year for the Camaro. It was a year its top model – the Z28 easy trounced its arch rival the Mustang GT. The performance gap was so wide between the two for 1993 that even Mustang fans had to admit defeat. In fact performance was so good for 1993 for the Camaro Z28 that it’s 275 horsepower rating was the highest for a Camaro since 1971. It had taken 22 years but the Camaro Z28 was back to its original muscle car era power ratings. In other words even with all the government regulations including the Corporate Average Fuel Economy (CAFE) standards, the Camaro was able to final get back to original muscle car era performance – the days of 15 to 17 second mile 1/4 mile times for the Camaro Z28 were now officially over – and 1993 would be the watershed year that began consistent 14 second or better 1/4 mile times. However this was better than it sounded since technology also gave the 1993 Z28 a tremendous advantage over its muscle car predecessors such as a stiffer and more refined chassis, far superior aerodynamics, and transmission improvements. 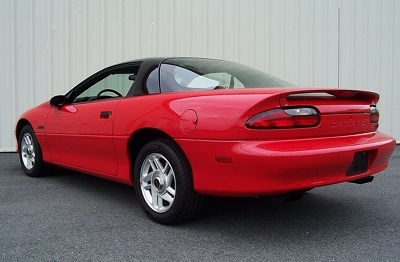 1993 was the first year of the fourth generation Camaro – it had an all new exterior and interior design. The third generation Camaro saw eleven model years so by 1993 Camaro fans were elated to have an all-new Camaro to replace the third generation which had become long in the tooth by late-1980s. The exterior design was an unexpected evolution of the previous generation. The front had quad rectangular headlamps unlike most cars of the day which had flush headlamps. However the rest of the car took on a wild spaceship like design. The curves and angles were very futuristic – it was a trend that GM was going a little overboard with at the time – the GM APV vans were the extreme limits of this trend. However the general design and proportions still allowed the Camaro Z28 to look like the muscle car it was. One positive advancement was the removal of all the spoilers and air dams of the previous Z28 which gave the Z28 a clean streamlined design. Even the rear spoiler was so integrated into the general body design most hardly picked up on the presence of a spoiler. The boxiness of the previous Z28 was also gone. The new car had a wedge shape, the hood appeared so much lower than the previous Z28. Overall the car had a wide and very low look. However the feature that really stood out with the new Z28 and the new base Camaro was its radical front windshield which was by far the largest windshield ever to see service on a Camaro – so big in fact it almost took a whole bottle of windex to wash it. The windshield was rounded to blend with the new Camaro’s styling. However the windshield was so steeply raked – which today is more commonplace however back in 1993 it was generally only seen on non-production concept cars, that it took the driver a little bit of time to get used to, especially since it was accompanied by large side pillars between it and the side windows that created large blind spots. Many Camaro buyers approved of the styling at the time, however it did have its detractors who claimed the new Camaro looked like a Geo Storm on steroids. However the styling had an unintended side affect – it appealed to mostly male buyers which by the 1990s was a marketing "no no". When the new 1994 Mustang was released women buyers flocked to the Mustang which appealed to both men and women. By the end of the 1990s, the Mustang was easily outselling the Camaro which by that time was at death’s door. GM would eventually pull the plug on the Camaro at the end of the 2002 model year. GM did learn its lesson and when it finally released a new Camaro for 2010, it appealed to both men and women. The radical styling of the fourth generation Camaro was nowhere to be found on the semi-retro 2010 to current Camaro which now outsells the Mustang. As previously mentioned the introduction of the 1993 Camaro was the first year in about 20 years a true muscle car engine was found under the hood. 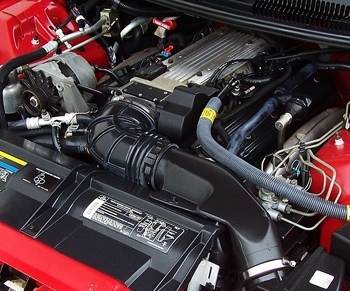 The hottest third generation Camaro Z28 and Camaro Iroc-Z motor was the (L98) Tuned Port Injected (TPI) 5.7 liter (350 CID) V8 which in its day produced some serious power – anywhere from 220 to 245 horsepower depending on the production year. It battled well against the lighter 5.0 liter Mustang GT and LX, however it was saddled with GM’s clunky 700R4 4-speed automatic transmission. No manual transmission option was available with the small-block L98 5.7 liter TPI V8 – Z28 and Iroc-Z buyers were forced to downgrade to a less powerful small-block 5.0 liter (305 CID) V8 to get manual gears. Even with the L98 5.7 TPI V8, the Z28 and Iroc-Z were on the average low-15 second range quarter mile cars with a few automobile magazine test cars barely breaking into the high-14 second quarter mile range. Camaro buyers would have probably been satisfied with the L98 being carried over to the 1993 Camaro Z28 if a manual transmission was added to the fold. However Chevrolet had a much better idea – it instead opted for using its new hot performance LT1 5.7 liter (350 CID) V8 which had been first introduced in the 1992 Chevrolet Corvette. Ironically the new LT1 was not related to the legendary high performance 1970-1972 LT-1 350 V8 (except for using an updated version of its small-block architecture) however it was the most powerful production small-block V8 available in the Camaro Z28 since the LT-1’s departure. The 1972 Camaro Z28’s LT-1 was rated at 255 net horsepower which was figure that was not surpassed in any successive model year Camaro until the introduction of the 275 net horsepower 1993 Camaro Z28. However that was only part of the story. Where the 1972 Z28’s LT-1 produced 280 lb-ft of torque at 4,000 rpm the 1993 Z28’s LT1 produced 325 lb-ft of torque at a very low 2,400 rpm – this meant the 1993 Z28 had a lot more pull from a standstill giving the feel of a V8 that was larger than a small-block. The LT1 still had the small-block Chevrolet V8 architecture that dated back to its first release for the 1955 model year – the 350 CID LT1 even used the same 4.00 inch bore and 3.48 inch stroke that the every other Chevrolet small-block 350 V8 had used since 1968. However GM engine engineers had incorporated new improvements and advancements with the LT1 – the biggest of which was reverse-flow cooling. Reverse-flow cooling passed the coolant through the engine in what was considered at the the time a backwards flow pattern however it was a stroke of genius in that the cylinder heads were cooled first before the rest of the engine allowing the heads to run at a cooler operating temperatures. This allowed engine engineers to boast the engine’s compression ratio to 10.4:1 which was territory not seen on any GM performance motor since 1970. Indeed the high compression V8 from the original muscle car era was back however with an added advantage – unlike the high compression performance V8s of the original muscle car era that required around 100 octane fuel, the LT1 because of its sophisticated computer ran without any detonation or loss of power on 93 octane unleaded fuel which was used for much lower compression (between 9.0:1 to 9.5:1) V8s in previous years. In fact because of the lower head temperature the LT1 also was able to used increased spark advance for more performance. The downside was the Z28’s (batch based) fuel injected LT1 was that it was detuned by 25 horsepower when compared to the 300 horsepower LT1 V8 found in the 1993 Corvette. 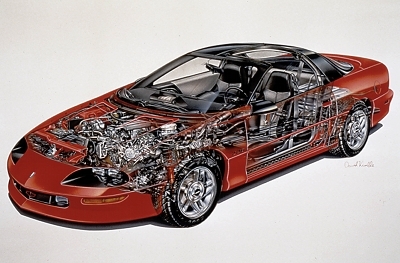 Part of the reason was internal GM politics – after-all it wasn’t smart marketing to offer the same horsepower in the 1993 Z28 which had a base price of only $17,195 which happened to be half of the base price of the 1993 Corvette. Another part, was the Corvette had a true dual exhaust system and the Z28 was saddled with pseudo dual system – a single pipe from the catalytic converter that eventually split after the big single muffler to two pipes before exiting out the rear through two separate decorative rectangular exhaust tips. This exhaust system was performance tuned so it did have a pleasant deep tone Z28 buyers had become accustomed to, along with being fairly free-flow considering it went through one catalytic converter and muffler. However the simple truth was in comparison to the Corvette’s extremely free-flow true dual exhaust setup with multiple catalytic converters, the Z28’s exhaust system robbed at least 10 horsepower from total engine output. Besides the horsepower advantage the Corvette’s LT1 engine block had four bolt mains versus the two bolt setup of the Z28’s LT1 block. However none of this really mattered since the Z28 with its advertised 275 horsepower still managed to easily beat it’s arch rival the 1993 Mustang GT which was equipped with a 5.0 liter (302 CID) H.O. V8 that by comparison produced a paltry 205 horsepower and 275 lb-ft of torque. On the performance front, Ford was in big trouble for 1993. Not since 1981 had Ford had such a performance deficit with its performance Mustang when compared to the Z28. Fortunately Ford kicked into action quick and had its newly formed Special Vehicle Team (SVT) create a low-production 1993 Mustang Cobra which had engine performance and suspension tweaks in order to compete with the Z28. Ford’s effort which helped to erase much of the performance gap was gallant especially since the 1993 Mustang Cobra was based on the ancient Fox platform which dated back to 1979. However the more expensive Mustang Cobra ($19,550 base price) still was outgunned by the less expensive Camaro Z28. How the tables had turned, back in the 1980s it was Ford with the 5.0 liter H.O. powered Mustang GT and LX that offered the "more bang for the buck", for 1993 the Z28 was the new "more bang for the buck" king. Motor Trend magazine (February 1993) pitted the 1993 Z28 against the 1993 Cobra – the Z28 did the 0-60 mph hustle in 5.6 seconds versus the Cobra’s 6.2 seconds. And for the 1/4 mile the result was the same, the Z28 with its 14.0 second (at 98.8 mph) time showed its taillights to the Cobra which took 14.4 seconds (at 97.4 mph) to cover the same distance. The Cobra was by far the fastest production Fox body Mustang ever produced, and even when you consider that the SVT modified 5.0 liter V8 produced more than the 235 advertised horsepower, it was no match for the LT1 powered Z28. 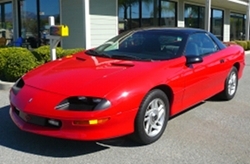 Even with the release of an all-new Mustang GT for 1994, the Camaro Z28 would easily out perform the GT until the end of its last year of fourth generation production (2002) – the low production and more expensive (SVT) Mustang Cobra would during the entirety of the Z28’s fourth generation be its main competition and not the underpowered GT. Another advancement was the new optional smooth shifting 4-speed automatic transmission which could shift just as fast as the Z28’s new 6-speed manual (the clunky 700R4 automatic was now history). So no longer would a Z28 buyer have to sacrifice performance when opting for the automatic transmission. GM’s transmission engineers had setup the computer controlled shifts in the new automatic transmission to engage so precisely that optimum performance was always guaranteed. No longer would a driver have to fiddle with manually shifting the auto transmission to get the best performance times – in fact if a driver did, it yielded slower performance times. There was also another factor that helped to boast the popularity of the automatic transmission option – the annoying "skip shift" feature of the 6-speed manual. GM had to jump through hoops with the Z28 in 1993 to meet the CAFE standards – the punishment for falling short was a hefty gas guzzler tax. So GM’s way of avoiding the gas guzzler tax was implementing the "skip shift" feature with the manual transmission. What this meant in layman’s terms is that under normal driving circumstances 2nd gear would be locked out forcing the driver to shift directly from 1st to 4th gear – this kept the rpms low which increased gas mileage. Only problem was when driving around town it soon became an annoyance to shift directly from 1st to 4th especially if you suddenly needed to accelerate quickly and were stuck in 4th gear at a low speed with low rpms. Most Z28 drivers discovered quickly that 2nd gear would unlock if they let 1st gear hit higher rpms before shifting – the net effect was most drivers just revved first gear over 3,000 rpm and then shifted into 2nd gear which ended up burning up much more gas than if there was no "skip shift" in the first place. It was CAFE foolishness at its finest. Smart Z28 owners figured out quickly that the "skip shift" was solenoid operated and unplugging the solenoid wire which connected to the transmission deactivated the skip shift (a process that took all of about 3 minutes to perform). However many Z28 owners soon discovered the solenoid wire would be reconnected when they would drop off their Z28s for servicing at a Chevrolet dealership. The Z28 had always since the Camaro’s second generation prided itself as a good handler. By the third generation the Z28 and Iroc-Z models were known as phenomenal handling cars unfortunately the reputation came at the high cost of a very harsh ride. In fact when these cars encountered rough pavement as found in urban areas or in the Rust Belt, it felt like a driver’s teeth were getting knocked out or gave bad kidney like back pains since the suspension was so harsh. With the 1993 Z28 those days were a distant past – for not only was handling better than ever, the Z28’s performance tuned suspension actually was civilized when it encountered road bumps. In fact when first driving a 1993 Z28 after driving one of its third generation predecessors a driver was almost fooled into thinking he was driving a soft riding Cadillac, that was until one tight turn of the precise steering wheel made a driver realize this car could tackle the tight turns like an oval track race car. Motor Trend (February 1993) obtained a .87 on the skidpad test – much better than the .86 obtained by the Mustang Cobra which had a much harsher riding suspension. Chevrolet was on a mission to offer a smooth riding Z28, to prove it they even offered P235/55R16 touring tires that offered a very quiet ride. Most buyers didn’t take the bate and opted for the performance oriented P245/50ZR16 Goodyear Eagle GS-C tires instead. The Eagle GS-C tires had stiff sidewall construction along with an aggressive tread pattern/design which allowed this tire to stick to road even in high speed turns. These tires were "Z" rated which safely allowed speeds up to 150 mph – a speed that the Z28 could now easily obtain due its superior aerodynamics, good gearing, and powerful engine. The GS-Cs also had the added benefit of being made of a softer rubber compound than most performance tires so the tires had a nice soft ride quality. Unfortunately with the soft rubber compound and a powerful V8 the tires didn’t last long before the tread disappeared. Fortunately the tires could be rotated since the same size tires and wheels were found on all four corners of the Z28 which helped to extend their life. 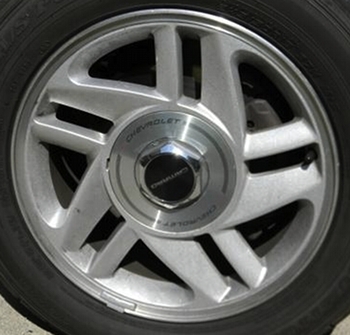 However owners did receive a shocking wake up call when it was time for new tires – the Goodyear GS-Cs retailed at close to $300 for one tire (it was only a few years prior that a Z28 buyer could buy four new original spec tires for that price). A little over $1,000 for four new tires back in 1993 was no small chunk of change. And when it came to braking, the Z28 which came standard with anti-lock 4-wheel disc brakes, as tested by Motor Trend stopped from 60-0 mph in an earth shattering 112 feet – a figure which 20 years later is still top of its class. The 1993 Cobra was the first and only Fox body V8 powered Mustang to get 4-wheel disc brakes, with its 60-0 mph figure of 144 feet which was good back in 1993 unfortunately paled in comparison to the Z28’s figure. Another little surprise was discovered by the "do it yourself" 1993 Z28 owners – the torturous job of changing the spark plugs. With the V8 powered third generation Camaros the same job was not easy but was doable with patience and fortitude, the same job with the 1993 Z28 had even the most patient cussing like a drunk sailor . Even the most flexible hands of the most skilled neurosurgeon couldn’t change all eight spark plugs from the top of the engine bay. At least four spark plugs had to be removed and replaced from underneath the car. And the wild steeply raked windshield also made for some real fun when pulling the engine out of the engine bay – no longer could an engine be lifted out of the engine bay in the traditional manner, it had to be dropped out through the bottom of the car after the suspension was removed. The seating position was a carryover from the third generation – it was very low. As previously mentioned the steeply raked windshield was very large and took some getting used to. The Camaro has never been an easy car to see out the side and rear windows and the 1993 was no exception to this rule. As long as driver was familiar with the blind spots and used the side mirrors the blind spots were easily surmountable – after spending some time behind the wheel of a 1993 Z28 most drivers discover real quick that the outside side mirrors are their best friends. 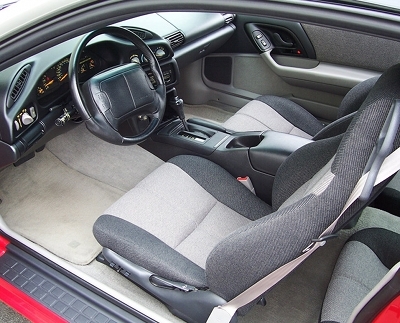 Camaro interiors had always been a little pedestrian and bare in first, second, and third generation models and 1993 was no exception to this general rule. The 1993 Z28’s interior had a nice modern design flair but it was nothing fancy – modern minimalist is a good way to describe it. Cloth seats were standard on the Z28, the pattern was easy on the eyes but overall appeal was that of the cloth waiting room seats you find in most doctors’ offices. However these seats were comfortable and offered good lateral and lumbar support. For some reason Chevrolet which had offered for some years during the Z28’s third generation a leather seating option, decided to only offer cloth seats in the Z28 for 1993. Fortunately a leather seating option did reappear again for 1994. The simple truth was, if buyers wanted a more plush and luxurious interior, the newly redesigned 1993 Trans Am was the performance F-body for them. With that being said there still were plenty of power and convenience options available, so you could get a nicely equipped Z28 if you didn’t mind pushing the price up over $20,000. Even if you went crazy with the options list you were only going slightly higher than $20,000, unless you opted for the limited production 1993 Camaro Z28 Indy Pace Car edition which had a higher price due to its unique exterior and interior scheme/theme. T-tops removable roof panels were also a Z28 option and fortunately didn’t have the squeaks and rattles of previous T-top equipped Camaros. Same could be said about outside road noise, it was kept to a minimum with the Z28 isolating passengers from most exterior noises. Even the V8 noise as heard inside the passenger cabin was a little more subdued when compared to the Z28’s predecessors. And all the Z28’s comfort was welcome especially when taking the Z28 on long trips. It’s hard to believe the 1993 Z28 is now twenty years old. Perhaps its ultra modern styling helps to fool the mind with respect to nostalgia. Or perhaps its abundance of power or the way it sips gas for a V8 powered performance car (17 mpg for city driving and 24/25 mpg on the highway) makes one think this car is younger. However one thing that can’t be denied is that the 1993 Z28 was the return of original muscle car era performance to the Camaro lineup after a very long hiatus. During the 1980s who would have ever thought the high performance high compression Chevrolet small-block V8 would have returned? With the release of the 1993 Z28 great things happened. It was a time when most Ford Mustang owners sheepishly admitted the Z28 was the performance king of this time period. Most have forgotten just how well the 1993 Camaro Z28 performed. Fortunately there’s an easy remedy for this – it’s spending a little time in the 1993 Z28’s driver’s seat which will recover those memories real fast. Fortunately for those looking for a future collectable muscle car, they are a downright bargain today for the performance they offer – mostly due to being forgotten by many including collectors. However give it another five or ten years and this will be an entirely different story when most collectors lose their fourth generation Camaro Z28 amnesia and values will rise faster than the federal budget deficit.